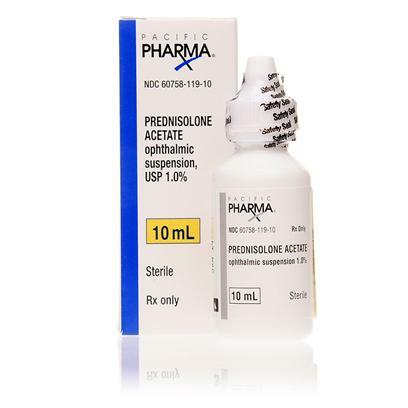 Prednisolone Acetate Ophthalmic 1% Suspension is a topical solution containing an anti-inflammatory and immune suppressant formula specially made for eye infections. It is used to help control swelling, itching, and redness of the eyes and eyelids in cats and dogs. Rated 5 out of 5 by 11 reviewers. This product is a sight saver for our dog. This product has saved our dog from certain blindness!!! Great price and fast turn-around.